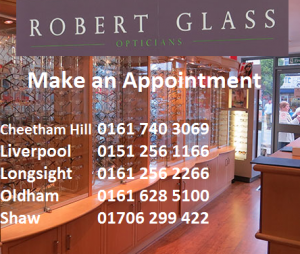 Robert Glass Opticians have five practices, two in Manchester, one in Liverpool, one in Oldham and one in Shaw. We aim to provide the highest standards of professional expertise, personal care and service. Each practice is different, meaning that our service and products are designed by local people for local people.